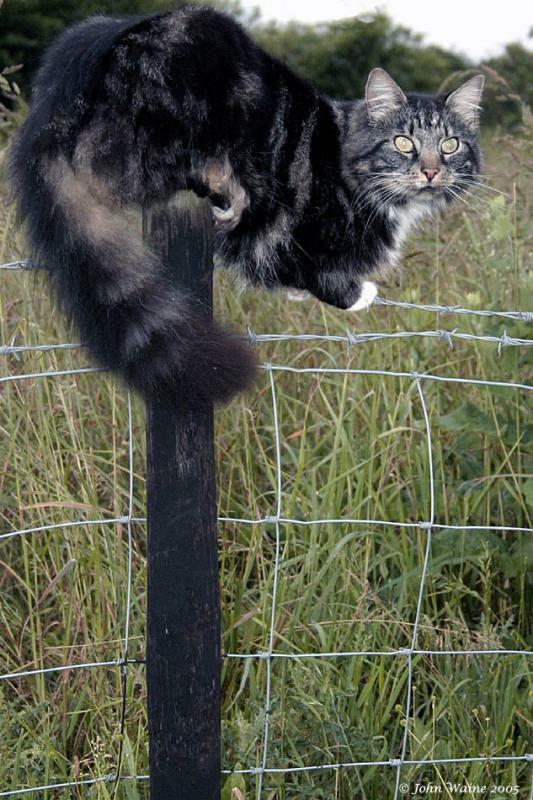 From a distance, I thought this cat had somehow impaled itself on the fence pole. On closer inspection, I saw how this moggy had perfected balancing on barbed wire! He was quite cross that I had disturbed his hunting activities, so I took the picture and retired gracefully! All Images Copyright. Please donate to charity #here# before use. Full marks for bravery! Clever kitty looks a bit precarious though. Cat better watch out for those barbs. Good job too I would say looking at that expression - I would say he was mighty miffed you spoiled his supper, and that maybe you might do instead !! Wonderful catch. He/she has good balance.